This is the first book by April Henry that I have read and if all of her books are like this one, I may sit them out. My initial reaction was to give this book 3.5 stars but I may drop that down to 2.5 stars. The more I digest this book, the more I realize things just don't add up. This is the story of Olivia Reinhart, who is actually Arial Benson, the daughter of the infamous murdered couple Naomi Benson & Terry Weeks from . Olivia's parents were murdered when she was only 3 years old. She grew up not remembering what happened to her parents, other than her mom was murdered and her dad was accused of murdering Naomi. All of that changed when Terry's jawbone is found and the investigation is reopened and that is all this small town can talk about. Did Terry actually murder Naomi? What really happened? Olivia takes it upon herself to move back into her mother's old house under the new identity and try to ask the questions that will hopefully give her the answers that she desperately needs. Because if both of her parents were murdered, doesn't that mean the killer is still out there? • Olivia just moved into what used to be her mom and grandmother's house without anyone wondering who she is. How many teenagers just up and move without taking stuff from their old apartment? You mean she didn't need to pack anything? What happened to her stuff? This girl isn't exactly wealthy so what gives? • She askes so many direct questions and nobody gets suspecious? How can one person, who is supposed to be a complete stranger in this town, ask very specific questions to very specific people about very specific things only insider people would know and the townsfolk just spill their guts? Sorry, doesn't jive. I never really connected with Oliva/Arial as a protagonist. She just felt too self assured and cocky for her own good. I do understand wanting to find out what happened to your parents and help solve their murder, but there are smarter ways to go about it. Her character just kept doing dumb things over and over and over again, and luck just happened to be on her side the entire way. Her side kick through all of this, and one character that was so out of place, was Duncan. He grew up with Olivia/Arial and knew who she actually was. He wanted to help her but also wanted to be her boyfriend. He professed that he hadn't stopped thinking about her in 14 years. You were a toddler old when she left. How can you have feelings for her now?? The one character I did really enjoy was Nora. She was the elderly neighbor that called Olivia on her BS early on and I appreciated that. Other those those three characters, I didn't care about the rest of them. Actually, it felt as if there were just too many characters and they were hard to keep straight. There was almost zero world building in this story so it was by no means a deep book. It started off with a chase in the woods then BOOM, the story starts over and you have to follow Olivia along as she quickly solves this mystery. It was over far too quickly and the ending did not do it for me. I guessed the killer and was not surprised when they were revealed. The book just ended with a neat, yet strange, bow and I said outloud, "That was it?" I felt let down. There were just too many things left unexplained. Characters and items were introduced but never explained. That was really frustrating. 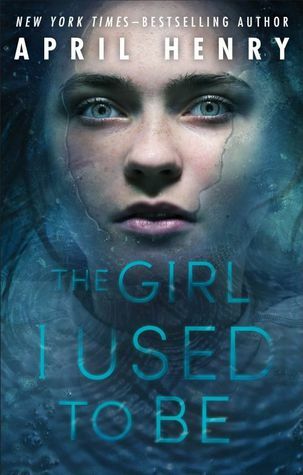 Overall, this story was not bad, but it did not feel like a well thought out YA book. It felt as if it was more for middle grade readers, 6-9 grade. The story felt rushed and haphazardly thrown together.